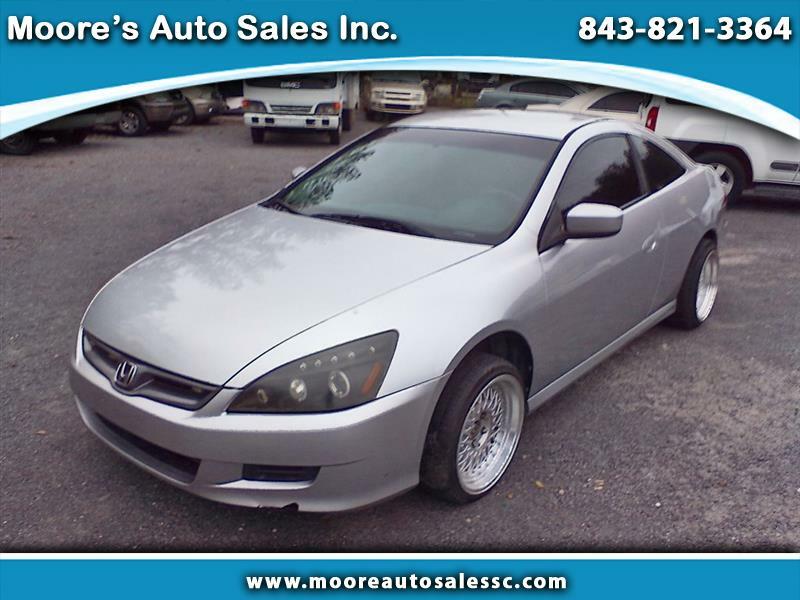 Used 2007 Honda Accord LX coupe for Sale in Ladson SC 29456 Moore's Auto Sales Inc.
We offer the cleanest, most reliable pre-owned cars from day one. We are so confident in the quality of our cars that we offer a FREE 60 DAY WARRANTY on most of our cars! We have been in business for over 30 years @ the same location. We can offer on the lot financing to local qualified customers. Please contact us at 1-843-821-3364 and we will answer all your questions. Please ask for GREG MOORE. More details visit our website www.mooresautosales.net or www.mooreautossalessc.com .